I’ve always had an interest in tinkering with things that I own, opinions whether I make improvements or just render the items “different” will depend on who you speak to. This stems from the love of creating from instructions growing up, where Lego was a huge influence on my early development and where video games were books of code that you had to type in. For me, there is a certain satisfaction in the process and to illustrate, I currently am working on a Kirigami of a house of horrors, a custom portable arcade machine/controller and a custom box/organiser for my set of the Arkham Horror Card Game. It’s in the searching for a card organising system on Board Game Geek that I discovered the files sections of the repository and the wonders that they hold. I’m speaking not only of the foam core plans, the player aids and other amazing efforts of the community, but of the amazing fan made content for games created by tinkers like myself. Content that could answer the question of; what if we could leap in time to become Batman and rescue Gotham from its impending doom? So like a science fair of board gaming geeks, I’d like to showcase some of the amazing contributions from the community that have extended the life of existing titles in our collection and often offer new and unique ways to enjoy our favourite games. Before the Dunwich Legacy, Investigators could take on a case for Victoria Devereaux (Core Set) to retrieve a family heirloom that she claims has been stolen from her and is housed inside the McLellan Institute. What may seem like a quick and easy job may also turn out to be a trap for our group of Arkham elite arcane specialists, but the allure of entrance into a curated collection of the esoteric is reason enough for you to accept the job. The Collector uses templates created by the community for new Location, Agenda and Act cards on 3 pages while all other decks are created form the core set. Great production value and something that can be printed, cut out and sleeved within an hour for new content. There are already French and Polish translation available and BGG user CrickeyMiles has already created a second scenario called The Curse of Amulotep for players who want even more! Instead of simply limiting X-Wing Miniatures to a head to head miniatures tactical games, in 2015 Josh Derksen decided to create a full RPG style campaign for players to create a Rebel Squadron of up to 6 players in a battle against the AI controlled Imperial forces. 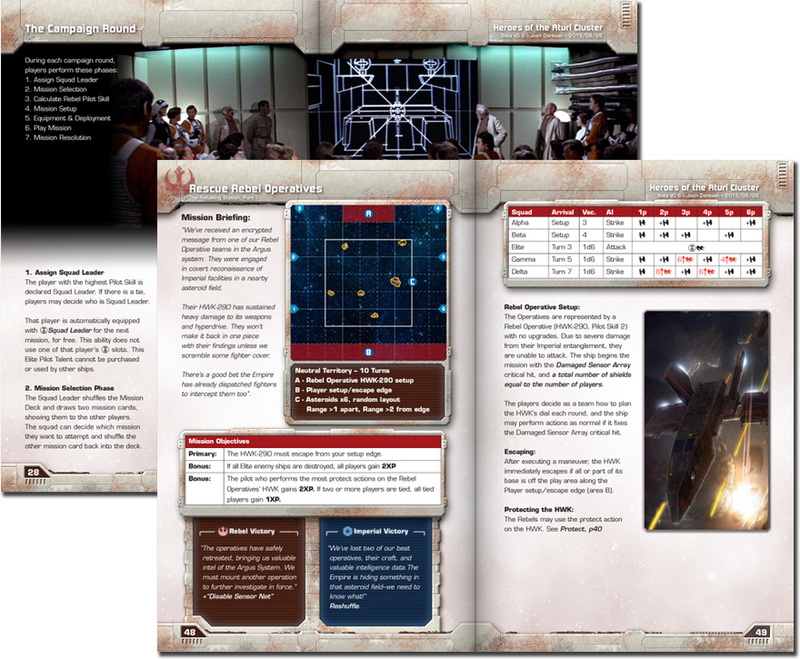 The amount of content created is incredible with: a designed 15 mission campaign scenario book featuring a pilot upgrade system, player score sheets, mission deck of cards, Imperial stat cards and pilot deck and even custom created terrain for specific missions! This could easily be sold as a stand alone box set but is free to those who want to download, head to the printing store and get some friends together for a unique Star Wars experience. While not a fan of tactical miniatures games, this is something I’m really interested to play over the course of a weekend! 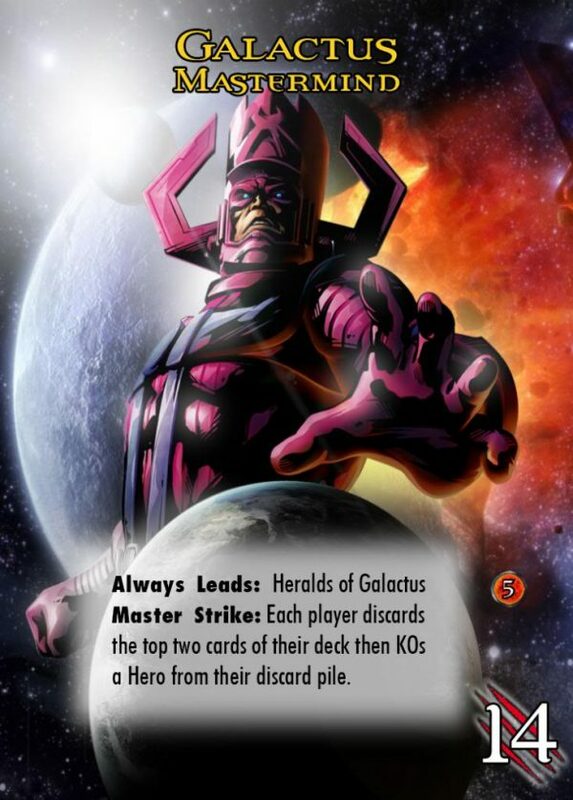 Marvel Legendary has more expansions than many games can claim, yet still there are a number of comic book fans that would love to see their favourite Heroes fight against the forces of evil. This collection of heroes/villains/henchmen/allies & schemes has an origin stories of gamers sitting around tables around the world and collectively thinking how they could change the fate of the Legendary Universe. 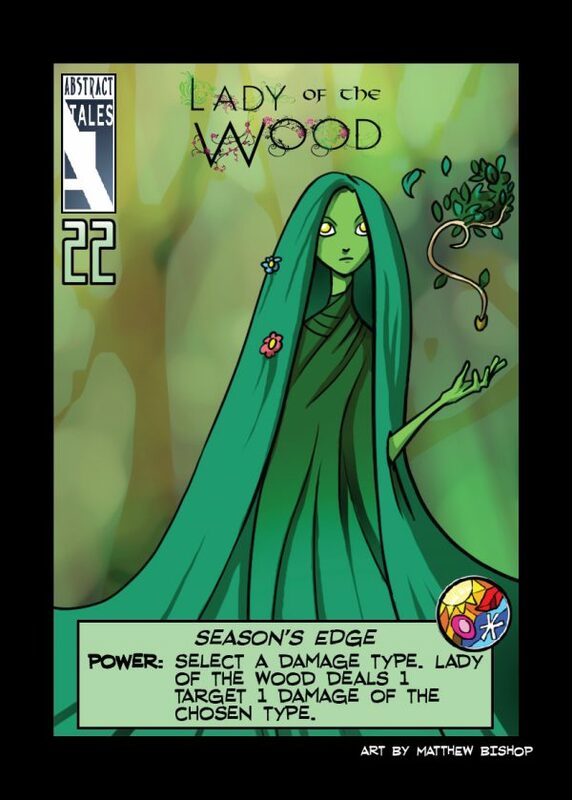 Over the years they drew, printed and playtested to finally upload a collection of heroes to the internet to share so that they may save the fate of their favourite game, and the war still wages on… With not only new but alternate cards, the current database holds 766 hero cards, 234 Masterminds, 206 Villain Groups, 162 Henchmen and over 132 Schemes. Armed with only a printer and some sleeves, you can unleash whatever comic book character you’d like into your Legendary Games thanks the the thriving community of contributors. Lastly, CBQ’s best game of 2015, T.I.M.E Stories is a beautiful narrative story telling game that has abundant opportunities for fan created content, with Space Cowboys making development kits available for interested game designers to send in fan made modules. 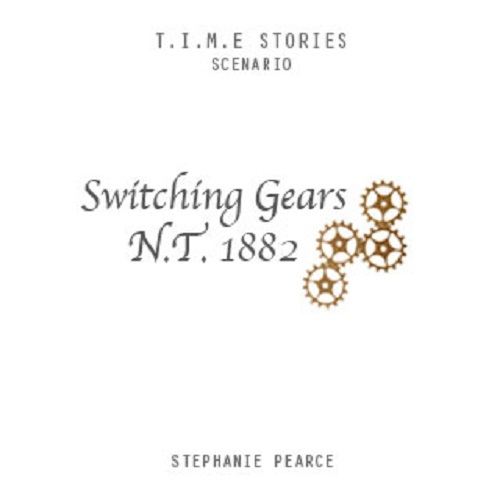 There have been rumors of a Bioshock themed module and while we wait between modules, Switching Gears 1882 N.T offer players a full story in the characters of an 1882 village where the locals have been fascinated with gears and contraptions mechanical in nature. As with any T.I.M.E Stories adventure, the less you know going into it the better and we’ve been happy to see that designer Stephanie Pearce has been awarded her Designer accolades on BGG for her efforts. Print it, Play it and if it stimulates and turns any gears of great stories inside your own mind, it’s time you grabbed that Dev kit yourself! With the exception of The Cauldron, all of these expansions and additional content will need to be downloaded, printed and cut out yourself. As someone who has dabbled in print and play a fair deal in the last couple of years, please note that this is NOT a cheap and easy way to get additional content and can either cost as much as it would to buy similar content from retail or cost you the same in print costs and the time to cut it all out yourself. As a member of the community who has benefited from this community of creators, I’d really like to give a big thanks to every gamer who has picked up a pen or put the effort into creating additional content for the games they love and most importantly, shared them so that others could enjoy their labours. If, dear reader, you know of any other content that you believe deserves our attention let us know in the comments below as we know of many many gamers who would love to play more games.